In September 2015 InsideClimate News broke the story that Exxon scientists first started looking into climate change in the mid-1970s. It didn’t take them long to find out both that it was a real problem and that their bread and butter was a chief cause. When the rest of the United States learned of these dangers — thanks in part to James Hansen’s testimony before Congress in 1988 — Exxon and friends began pouring millions of dollars into elaborate disinformation campaigns casting doubt on findings their own scientists had validated. Dutch journalist Jelmer Mommers has unearthed many incriminating documents about similar actions taken by Shell, including a 1988 report showing that their executives were fully aware of the danger that climate change posed and the company’s own role in it. The report’s authors found that their own products accounted for an estimated 4 percent of the world’s carbon emissions in 1984. “With very long time scales involved,” company scientists recommended, “it would be tempting for society to wait until then to begin doing anything. The potential implications for the world are, however, so large, that policy options need to be considered much earlier. And the energy industry needs to consider how it should play its part.” In response to the documents revealed in Mommers’s article, Friends of the Earth Netherlands has announced it will bring a suit against Shell to rapidly begin winding down its oil and gas production. Industry-funded disinformation campaigns would shape the United States’ national conversation on climate politics for the decades after Hansen’s testimony, and still do. But sensing a change in the political weather, fossil-fuel companies have taken on a new double identity. With one hand — or maybe just a few fingers — they espouse their commitment to climate action and even documents like the Paris Agreement. With the other they continually hunt for new markets and planet-wrecking reserves, sending legions of lobbyists into Washington to beef up subsidies and tear up regulations, and fighting even modest policies to rein in their actions. Despite clear culpability, the industry’s attempts to present itself as a good-faith actor in the climate fight are largely succeeding. Industry shills stalk the halls of the United Nations’ annual climate talks, appearing at side events alongside respected environmental NGOs and UNFCCC officials, and chatting freely with national delegations. 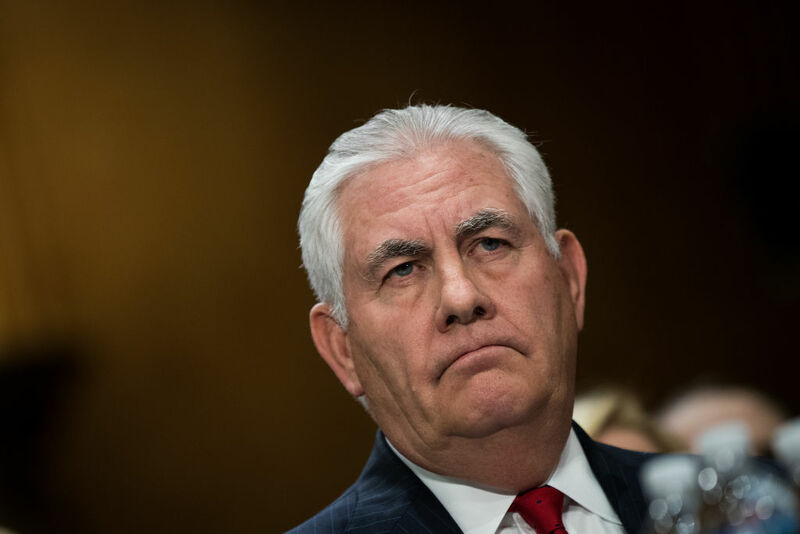 Stateside, advocates of certain forms of carbon pricing — like one plan drafted up by former Bush and Reagan cabinet officials— have boasted of garnering support and funding from the likes of Exxon and BP, apparently a marker of their respectability. When one such policy actually came up for a vote in Washington State last year, though, BP and other oil producers spent tens of millions of dollars to crush it. We’ve let them get away with it for too long. Let’s call this what it is: an atmosphere of impunity for atrocity. At the very least, the fossil-fuel industry should be barred from international climate negotiations and any national-level climate policymaking discussions, just like the tobacco industry and its emissaries are barred from World Health Organization talks. In the US, that ban should include the congresspeople on both sides of the aisle that the industry deputizes to act on their behalf with hefty campaign contributions. There were more than a few good reasons, after all, that the Allies didn’t invite Hitler to weigh in on their strategy for crushing the Nazis. After the war, though, the ensuing Nuremberg Trials of Nazi war criminals wrote an important precedent into international law, establishing that “crimes against international law are committed by men, not by abstract entities, and only by punishing individuals who commit such crimes can the provisions of international law be enforced.” At that point, there was no legal framework to understand violence on the scale of those that Hitler’s regime had just carried out, let alone to punish it. To remedy that the international community came together to create and implement one. There’s some truth to that — we do all create demand for fossil fuels, after all. But supply creates demand. And while free market dogmatists may think otherwise, there’s no reason why the popularity of a product means it should exist in perpetuity when the risks are so colossal and there are alternatives at the ready. One of the best parallels for trying corporate executives for crimes against humanity might be the so-called IG Farben Trials, in which executives of the IG Farben Company — which worked with the Nazis to produce Zyklon B gas, a pesticide used extensively to kill Jews in the Holocaust — were tried before US Military Courts in Nuremberg. The company also developed several processes that aided in the Nazi war effort, like synthesizing rubber and oil out of coal. They employed slave labor provided by the Nazis, even constructing a factory just outside of Auschwitz so they could put prisoners to work. The head of the company that would become the war’s largest distributor of Zyklon-B — Bruno Tesch — fared less well. He was tried separately before a British military tribunal and executed, alongside his second-in-command. Court documents detailed precisely how much money he and his main business partners had made from selling the agent to the Nazis. In the case of the climate crisis, it’s the industry itself that is driving crimes against humanity, and states that are complicit in issuing everything from drilling and infrastructure permits to generous subsidies — $20 billion per year in the United States alone. There are plenty of people in C-suites to hold responsible, with roles that more closely parallel those of Hermann Göring than Hermann Schmitz. But to narrow the field of potential indictments, we might start with Rex Tillerson and other ExxonMobil executives — particularly good targets given that there’s been extensive documentation proving that the company’s top brass both knew about and then covered up the existence of climate change, even as they fortified their supply chains against climate impacts. Of course, the legal hurdles to making such trials happen would be substantial. If the Nuremberg Trials were outside the box for international law at the time, trying fossil-fuel executives for crimes against humanity might well be in the stratosphere. For one, the United States is not a party to the Rome Statute, so unless the UN Security Council were to grant a US court jurisdiction over the matter — which hardly seems likely — a case would have to happen in a country that is for anything to go before the ICC. And the legal doctrines that the ICC operates under were designed principally to go after states, not multinational corporations. But if we were able to overcome those considerable constraints, what might trying fossil-fuel executives for crimes against humanity actually look like? Royal Dutch Shell, for instance, is based in the Netherlands — in the Hague, in fact — and is a party to the Rome Statute. In order for their executives to be tried for crimes against humanity, the ICC prosecutor would need to open an investigation to determine whether domestic courts in the Netherlands had not done enough to hold the offending parties accountable. The prosecutor could then use their proprio motu power to bring an indictment before the ICC, which would then hear the case. Alternately, the Dutch government could refer the case to the court itself. Plenty of countries have crimes against humanity statutes, however, so a trial wouldn’t necessarily have to happen under the auspices of the ICC. And because companies like Exxon have operations all over the world, they could theoretically be tried in any country that has such statutes on the books, or that is a party to the Rome Statute. Options abound. One obvious implication of calling people like Tillerson mass murderers is that their ilk should probably not be in charge of the world’s most powerful corporations; every piece of evidence we have suggests they’ll just keep killing. If we are going to embark on the managed and just transition off of fossil fuels that science is telling us we need, fossil-fuel executives simply can’t be trusted to oversee it. So if in the long run we hope to bring fossil-fuel executives to court, the road there should make sure that their destructive companies are taken out of private hands and run in the public interest — that is, wound down as quickly as possible, with the first priority being to ensure a dignified quality of life for those workers who stand to be most affected. While there are plenty of barriers to getting a conviction or even opening a case, the Nuremberg trials were themselves a kind of experimentation, wherein Allied forces effectively tested a new legal doctrine crafted to fit the specific atrocities committed by Axis forces, for which there wasn’t — to that point — an established legal framework for punishing. Confronting climate change — the greatest existential threat the world has ever known — demands thinking no less creative. Kate Aronoff is a fellow at the Type Media Center and a contributing writer to the Intercept .